"It's not the triple digits speed that gets you in trouble, it's the very sudden stops." He got his wish. Over the past two decades, FinListics has helped dozens of companies and thousands of sales professionals better serve their clients by boosting their knowledge of finance and relevant metrics and how they relate to business goals and challenges. Unlike business school finance classes, FinListics relays the information in terms of value-based selling. “Executives want insight not only into how a seller’s solutions can help them, but how much value they can help create,” explains Stephen. It’s no longer enough to recite a solution’s features, functions and superlatives from sales brochures. Sales professionals need to understand how their company’s solutions will affect their client’s bottom line. By providing an end-to-end solution for sellers—education that explains the how, analytics that showcase the how much, and services that integrate the education and analytics—FinListics “helps sellers become trusted advisors,” explains Stephen. Although he left full-time academia behind, Stephen continues to teach—an activity that’s as good for him as he hopes it is for his students. 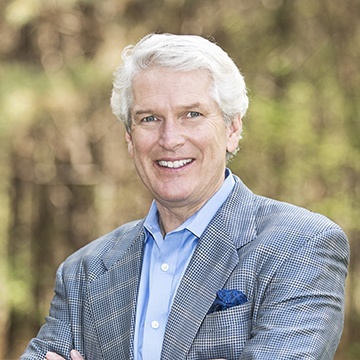 As an adjunct professor in Georgia Institute of Technology’s Executive Masters in International Logistics program, Stephen is able to remain in the academic world and also see firsthand “what our client’s clients are doing,” he adds. One of six children, Stephen was born in Louisville, Kentucky and has lived in Atlanta, Georgia for the last 40 years. Giving back to the community was important to his parents, and they occasionally fostered disadvantaged children. Their efforts and engaging with the other kids affected Stephen. He currently serves on the board of directors at the Purple Pansies whose purpose is to heighten the awareness of and to raise support for pancreatic cancer research. He is also on the board of directors of Pianos for Peace, an organization that aims to achieve peace and promote philanthropy through art, music, and education. Stephen is passionate about cars, and on designated “track days,” heads to a nearby racetrack to tackle above speed-limit straightaways and hair-raising curves in his Porsche 911 GTS. “It’s not the triple digits speeds that gets you in trouble, it’s the very sudden stops,” says Stephen. He’s got a practical side, too - his other car is a Volvo station wagon.